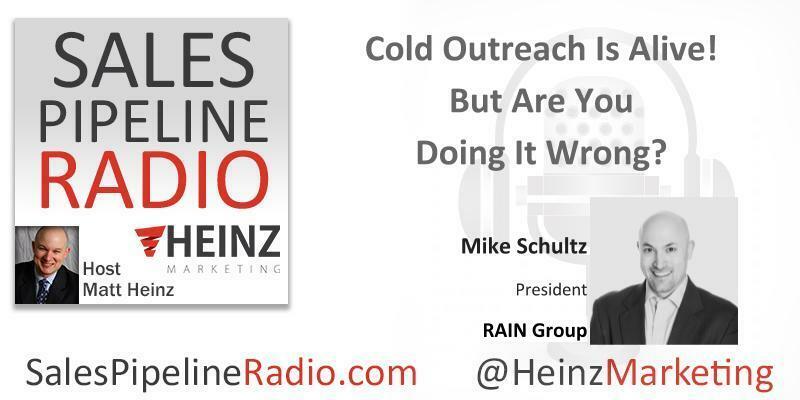 Cold Outreach Is Alive! But Are You Doing It Wrong? News outlets such as Business Week, The Globe and Mail, Inc. Magazine, MSNBC, and hundreds of others have featured Mike's original articles and white papers, and frequently quote him as an expert. Mike’s most recent research includes What Sales Winners Do Differently, Top Performance in Strategic Account Management, and the Top-Performing Sales Organization.